7273-01 high-res image, 7273-03 high-res image. 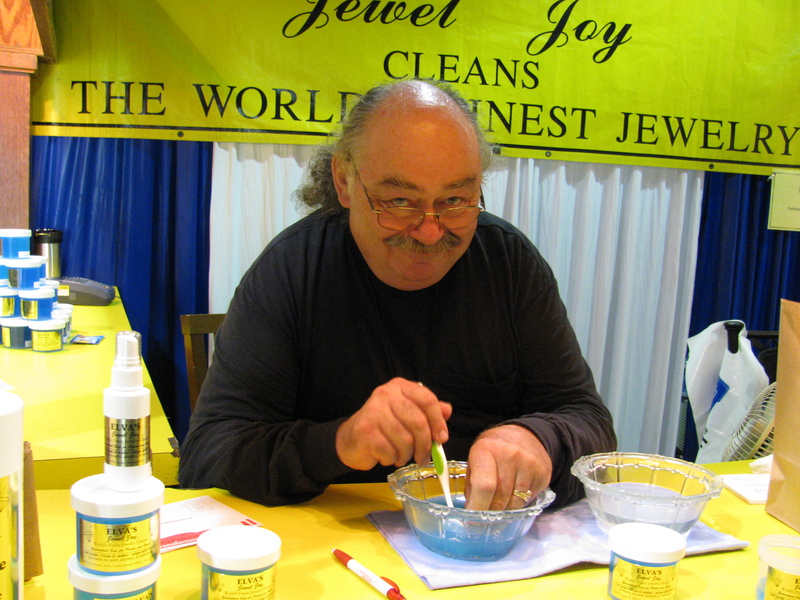 Man at "Elva's Jewel Joy - Cleans The World's Finest Jewelry." 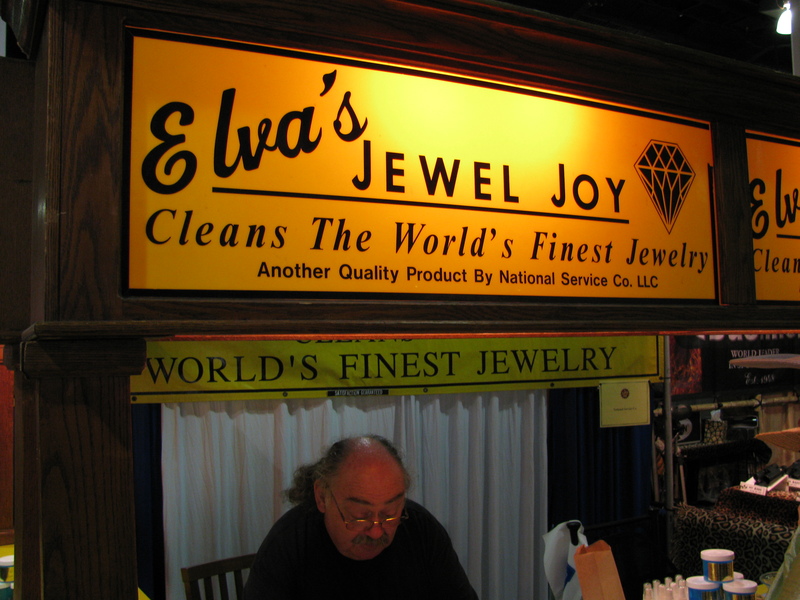 "Elva's Jewel Joy - Cleans The World's Finest Jewelry. 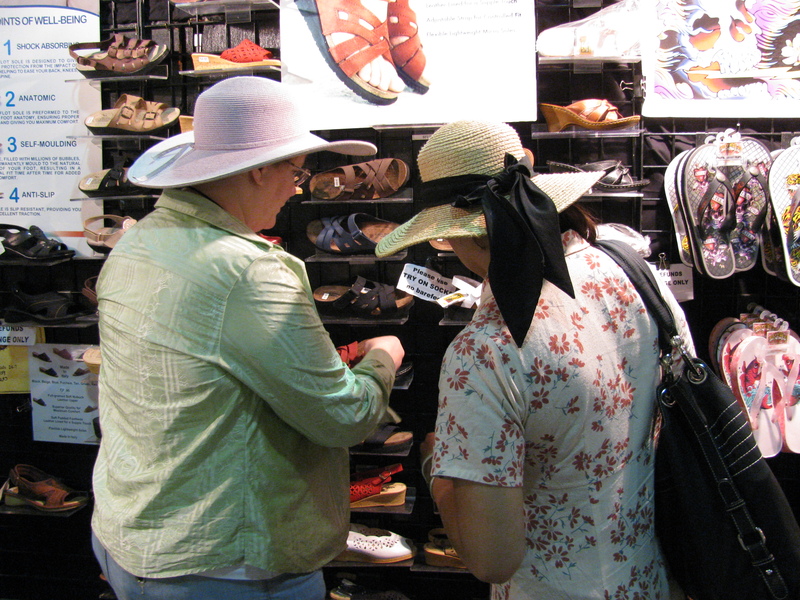 Another Quality Product By National Service Co. LLC"
Lynn and Maria shopping for shoes. 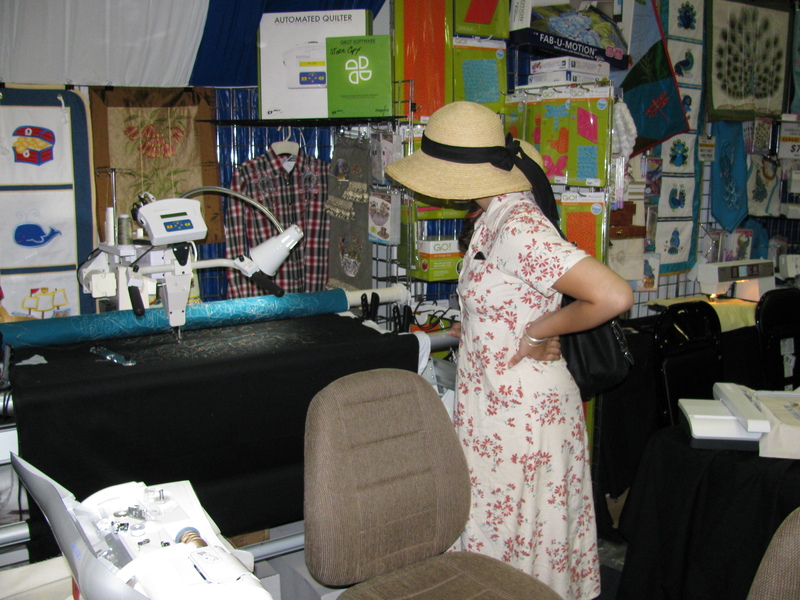 Maria at one of the sewing machine booths. 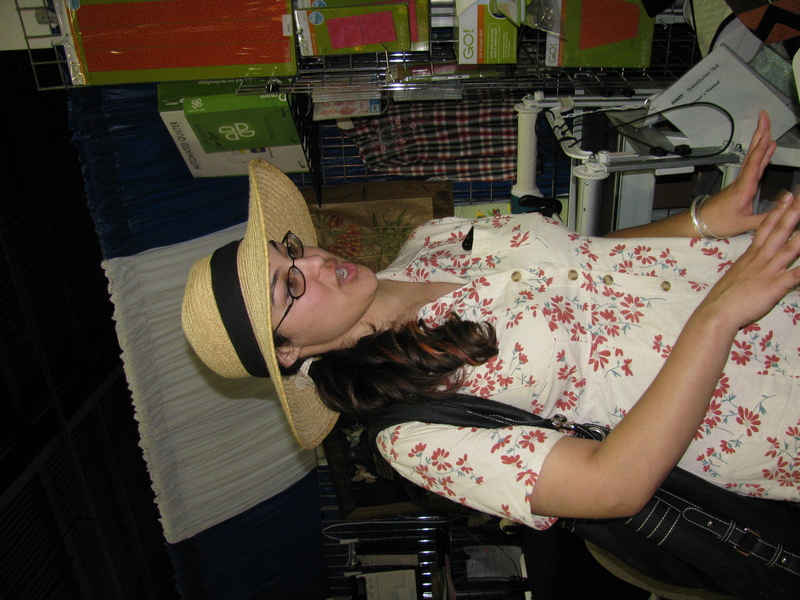 Maria Rodriguez can't afford any of these machines. 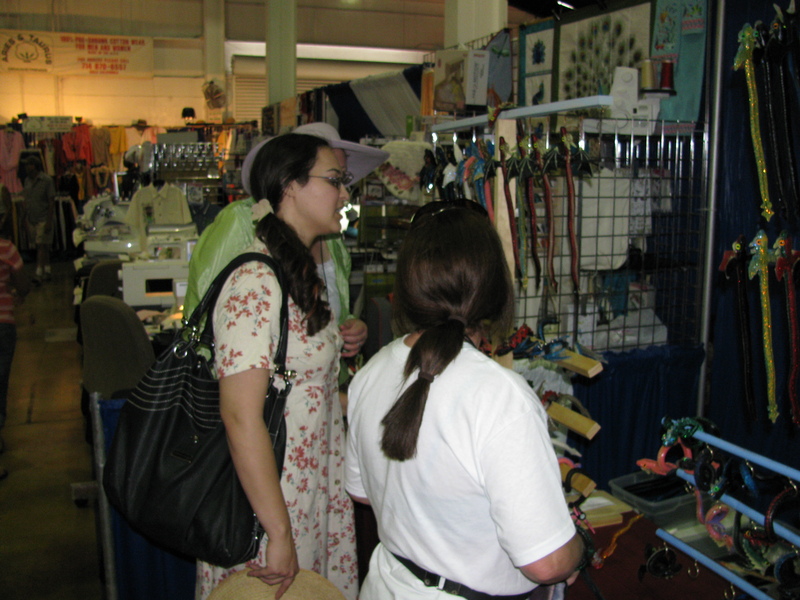 Lynn and Maria Rodriguez at the dragon dealer. 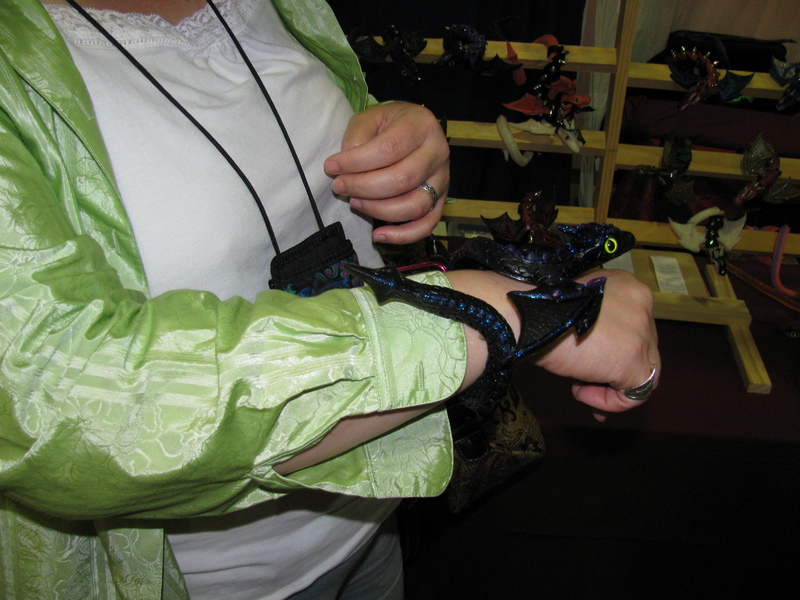 Lynn Baden has a dragon. 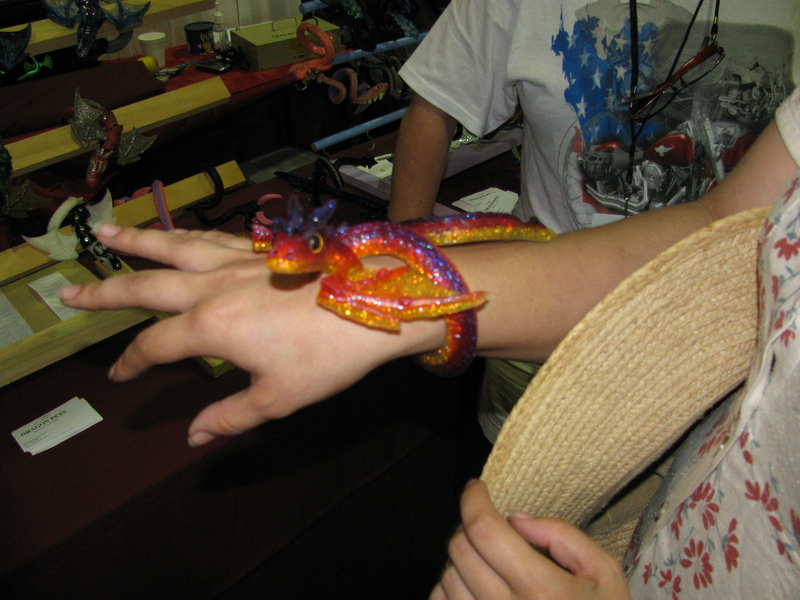 Maria Rodriguez has a dragon on her arm. 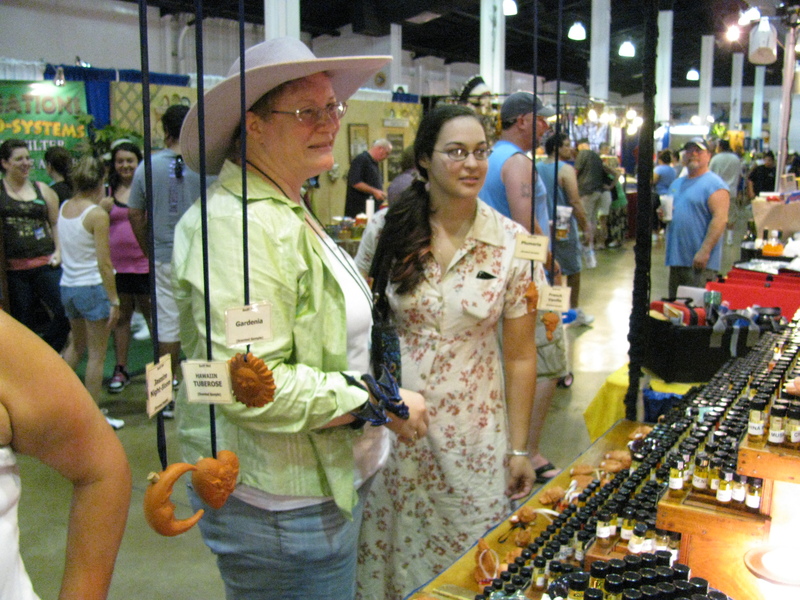 Lynn Baden and Maria Rodriguez looking at essential oils and incense. 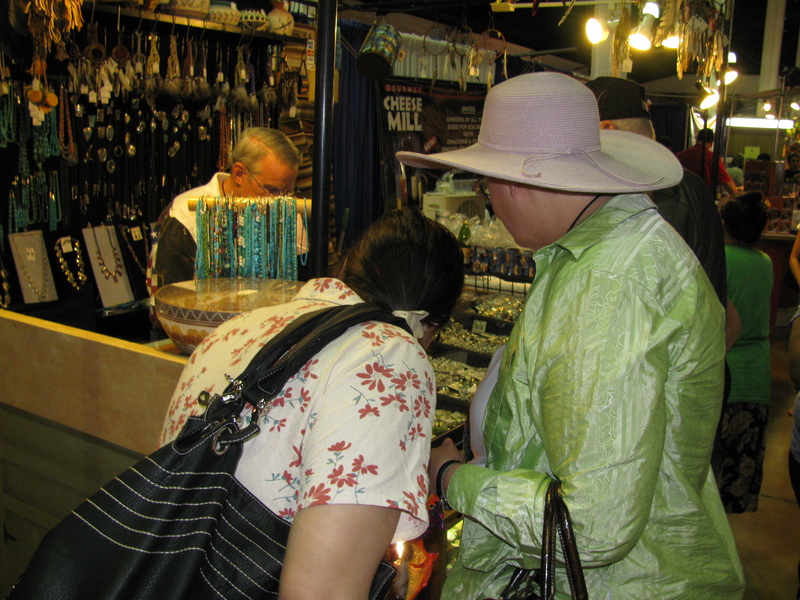 Maria and Lynn, looking at jewelry. 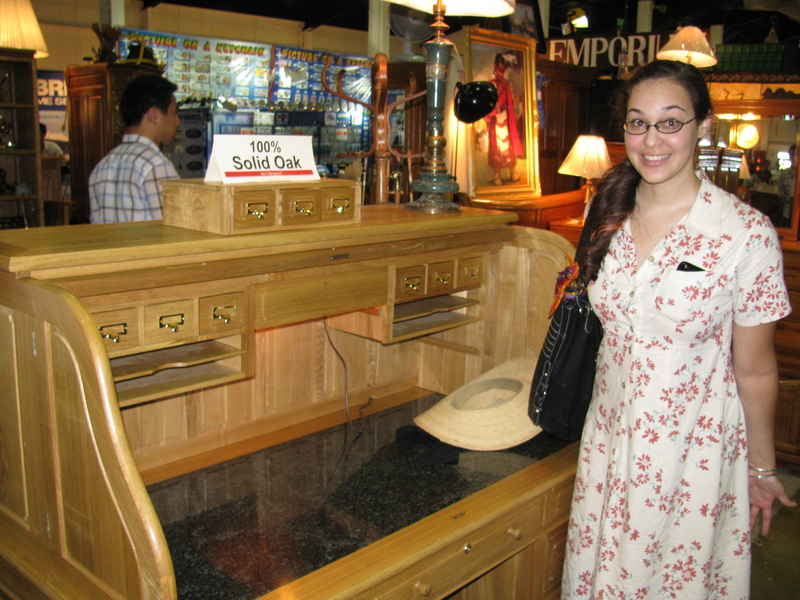 Maria Rodriguez wants one of these solid oak desks. 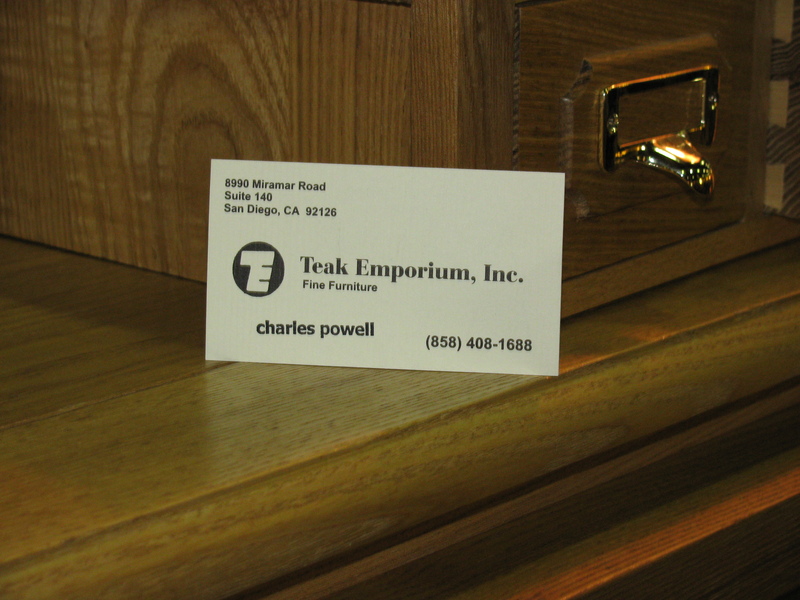 "Teak Emporium, Inc. Fine Furniture. 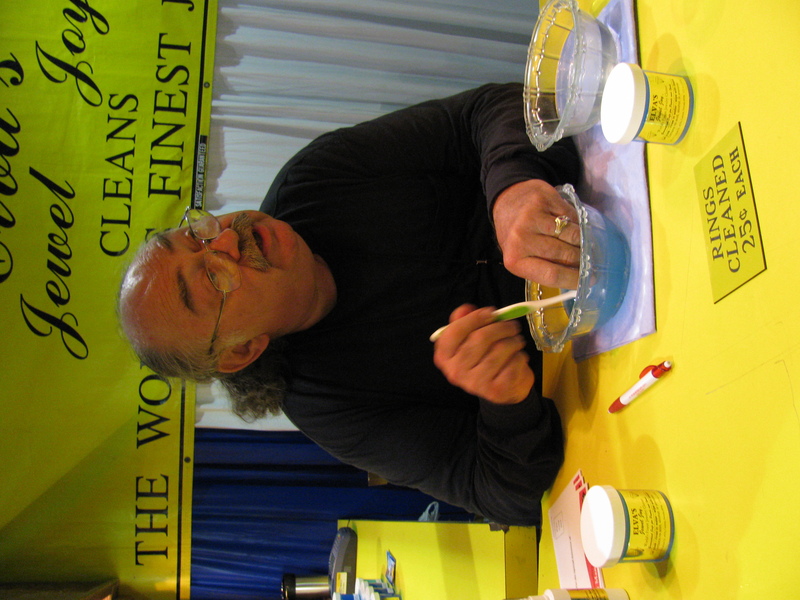 Charles Powell (858) 408-1688. 8990 Miramar Road Suite 140, San Diego, CA 92126." 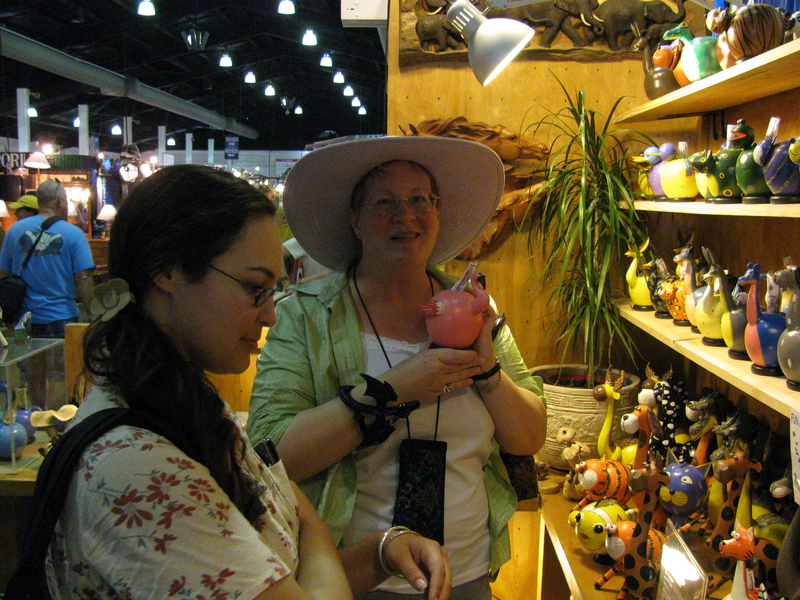 Maria Rodriguez and Lynn Baden, and a fat little flamingo bank.